Lochlan Frederick. Winner of the 2017 Department Oratorical Competition. 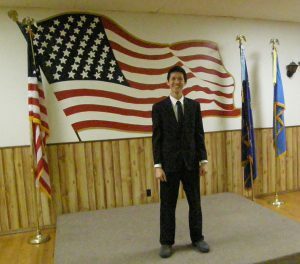 Lochlan went on to finish fifth in the National Oratorical Competition. 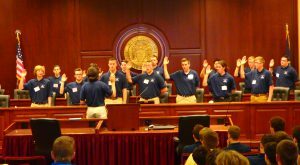 Swearing In Ceremony at the 2017 Boys State. Twelve of the young men were sponsored by Post 113.